It’s almost time for the BUCS Chilly Duathlon Championships 2017! Sunday 19th November 2017 sees the very best of the UK’s university students racing at the world famous Castle Combe Circuit. Please click and read your race letter here carefully prior to race day. 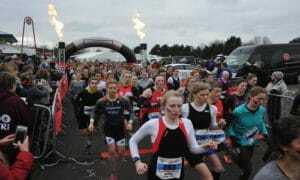 The race line-up and live result pages are available now at BUCS Duathlon Results. Please check your details very carefully and email your Race Timer here, if there are any errors with any of your team members. Please note, this is very important as if racing with incorrect details (gender, University, etc. ), may incur penalties or disqualification. That’s all for now. Good luck with your final race preparations and we look forward to seeing you on Sunday.